Children love to be read to, so offer your help as a class reader or provide support to individual children that are struggling to read. Try to read the book yourself before you go into the class. Take it slow. Don’t try to rush it. Enjoy it so that they may enjoy it too! Change your voice or tone while reading dialogues by the different characters in the story. Use props, if appropriate and available. This is a very good trick to keep those young kids attentive. After you read the story, ask open-ended questions so as to instill comprehension skills in the children. Speak with the teacher about what topics are being currently covered in the classroom and select a book accordingly. This will help tie it into what the children are already learning. Most of the teachers will let you select the book, so enjoy this freedom and choose wisely. A writing collage project for my daughter’s Kindergarten class is a great way to help her learn at home too. 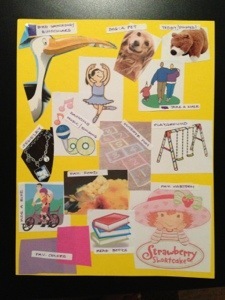 Create a collage and pull it out for inspiration every time you ask you child to write in his journal. That picture will serve as a topic for describing real life experiences or even a fictional story. What is Accelerated Reader (AR) Program? We had our parent-teacher conference last week and were informed that our daughter, is one of the students recommended for the AR program. We were extremely proud of her for reading at this level. The reason for such joy is: 1) She is in Kindergarten and, 2) Is turned 5 the week before school started making her the youngest in her class. At the same time, we were curious about this program and it’s potential. AR stands for Accelerated Reader. It is a program used by primary and secondary schools to monitor the practice and progress of reading. What is the purpose of AR? In simple terms, it is an assessment of reading. The computer software is a curriculum-based tool that provides an analysis of reading to teachers and parents. This enables the teacher to monitor both the quality and quantity of reading practice the child is engaged in. How does the AR program work? It is a simple 3-step program. 3. Teacher (and parents) receive a report. 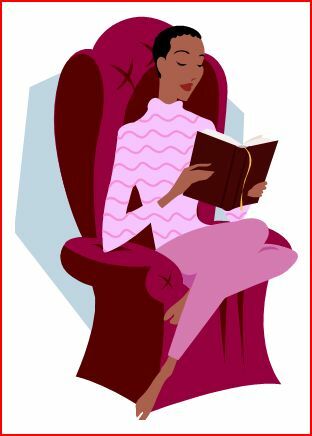 The intention is to assist, motivate and create goals for reading. The student can either read the book independently or listen to the book read by an adult. ATOS is the readability formula that assigns each book a reading level. The purpose is to assist students in choosing books suited to their reading abilities. For example, an ATOS book level of 3.5 means that the text could likely be read by a student whose reading skills are at the level of a typical third grader during the fifth month of school. Frequently, its called AR Level. What is an AR quiz? There are over 150,000 AR quizzes available in 5 different formats. 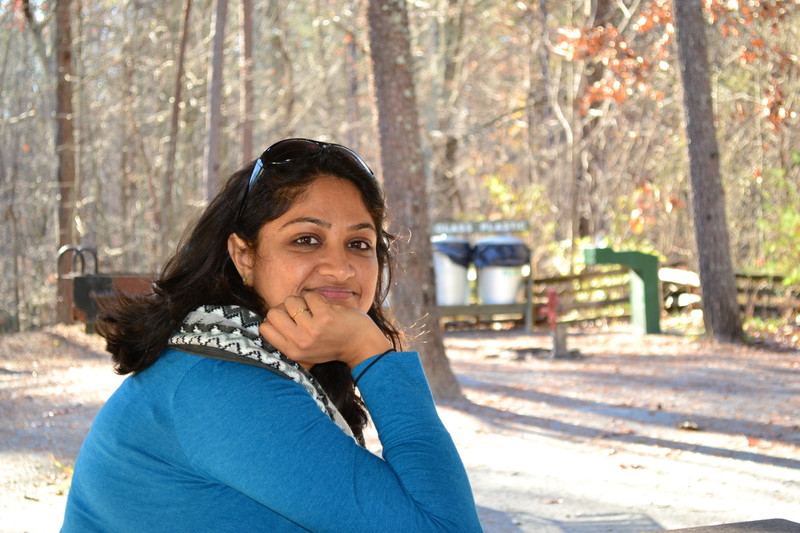 For a sample quiz in any of these formats, click here. AR quizzes can only be taken at school. Does every book have an AR quiz? No. 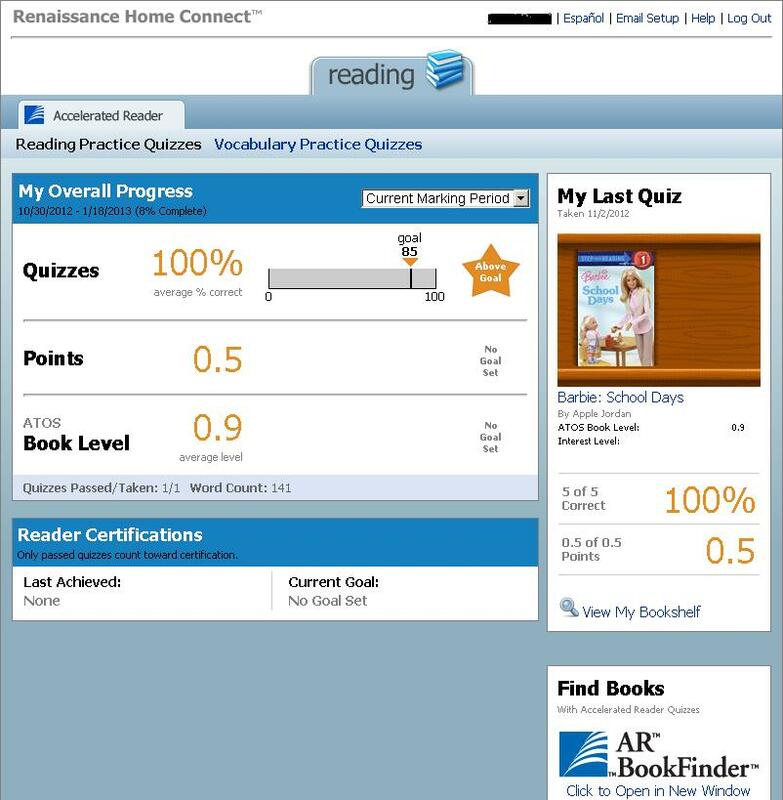 You can check the AR Finder for a list of books with AR level and list of quizzes available. Can my child only use the books from school library? No. Once you have searched for a AR book from the AR BookFinder, you can check out books from the school library, classroom library, public library or even your home library. However, you will need to check with your school if the quiz of that particular book is available. How do I know what my child’s AR goals are? 1. Pass the test with at least 85% accuracy. 2. Earn Points: Each book has a point assigned to it based on it’s AR Level and IL. Each book has a point value attached to it. For examples, picture books may be worth 0.5 points, whereas Hank the Cowboy, which is about 23,000 words long has 4.5 points. The AR points are based on the difficulty of the text and the length of the book. What is IL or Interest Level? What is the Renaissance Home Connect™? If your child’s school has the Enterprise version of AR, you can access your child’s AR report and information through Renaissance Home Connect™ from your home computer. You can access your child’s progress towards goals, points, books read as well as access AR BookFinder to search titles of interest. Check out the snapshot of the online platform below. Renaissance Home Connect page to view your child’s progress.